​SOME GREAT VIDEOS ABOUT US AND CANE CORSOS. 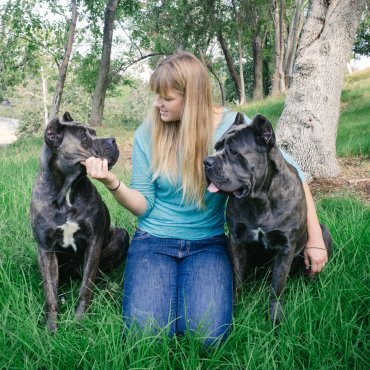 Annie has been enthusiastically involved in the Cane Corso breed since 2010. NASA is responsible for sparking an ardent interest in dog sports and shows. ​NASA is responsible for sparking an ardent interest in dog sports and shows. She has successfully handled many dogs in AKC shows, finished Champions, and competed in obedience and protection sports. Though there are a few breeders that actually show there own dogs, there are far less that train and work their own, and almost none that do both. She is on the executive board of the American Working Dog Federation. Locally she is a member and officer of the competitive Schutzhund club All Canine Working Dog Club and has helped many members their find training success. 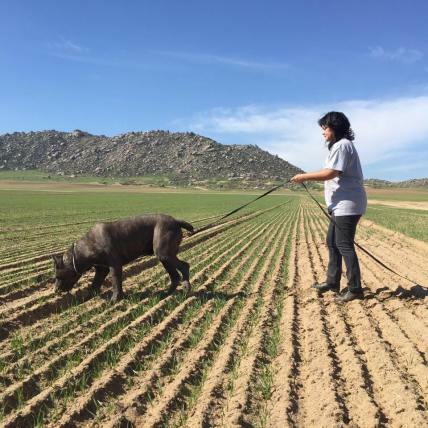 She is very knowledgable on canine behavior, training, and the Cane Corso breed. For info on her pet training please visit Los Angeles School of Dog. Brian has had dogs his whole life. He has a background in veterinary medicine and is currently training his male for IPO with All Canine Working Dog Club. He is also a member of the Cane Corso Association of America. Denise has had working dogs for over 20 years. Her experience in Rottweilers and Bullmastiffs prepared her well for the Cane Corso. She has shown and finished several dogs though their AKC Championship and is currently training her male for a BH with All Canine Working Dog Club. 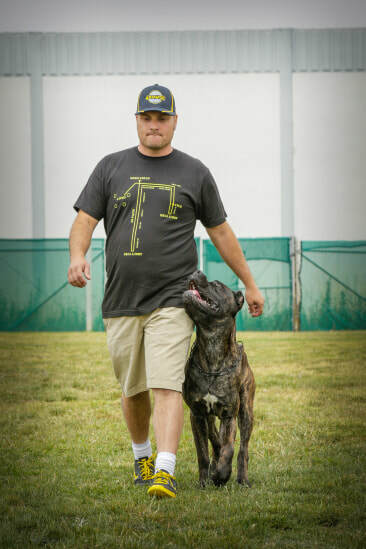 Great video on why we recommend crate training for your Cane Corso.